Cavium was finally showing SemiAccurate customer designs for ThunderX silicon at Computex. It has been a long time coming but real ARM servers are finally here, as are some other nice boxes. 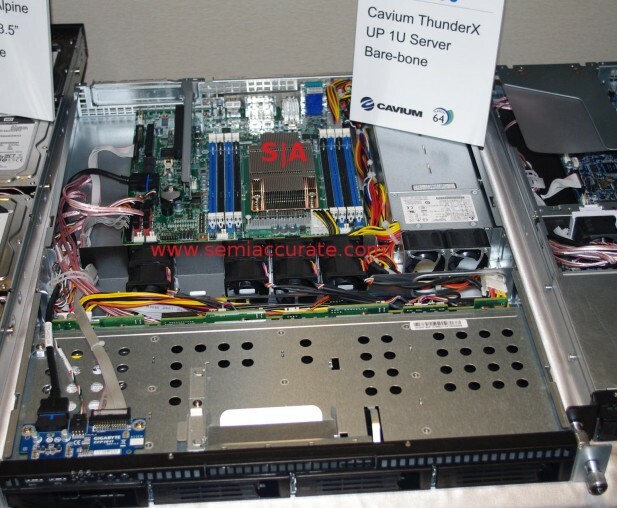 Although it isn’t related to ThunderX, the first thing we saw at Cavium was their Xpliant switches. There were four designs, three which are pictured below, from Inventec, Lite-on, and two unspecified vendors. If you aren’t familiar with the Xpliant line of chips, they are ‘upgradeable’ and somewhat software defined devices. We wrote up the tech here, and now you can see the boxes from real customers. These switch boxes support 3.2Tbps of throughput, that would be 100Gbps on all 32 ports. If you aren’t keen on 100Gbps networking, they also support 50G, 40G, 4×25/port, 40G, and 4x10G/port. That should be enough for most home users to support media center devices and cable gateways. For the neighborhood. And then some. 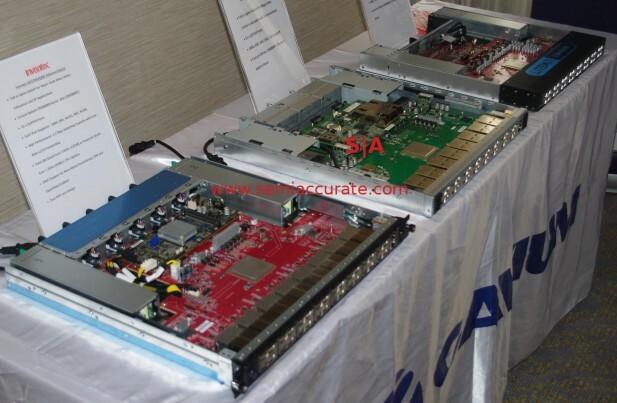 Back to the ThunderX line of ARM servers we have a few new designs from Gigabyte, Inventec, and some unspecified OEMs. There were pretty standard looking 1U and 2U boxes with two and four 2S blades respectively, plus some 1U short chassis 1S boxes. Given the sheer number of variants, you have to think there are a fair number of customers for these ThunderX customers, designs on this level don’t tend to be made without a known buyer.